John Fetterman, pictured here in a video from 2015. 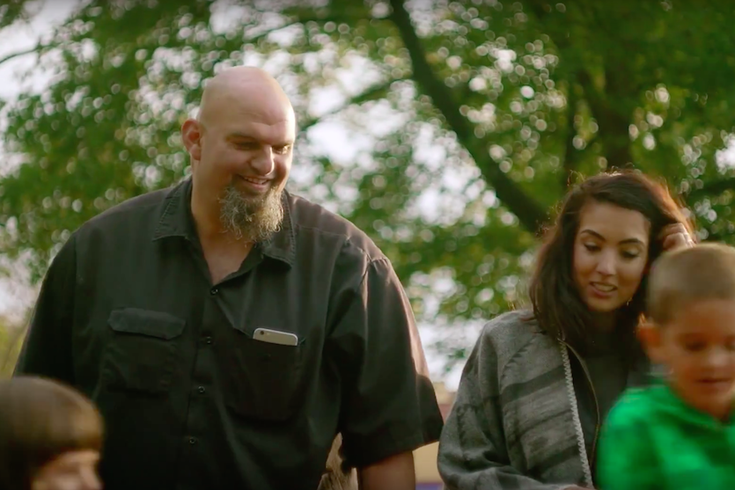 John Fetterman was sworn in as Pennsylvania’s 34th Lieutenant Governor earlier this month, leaving behind his former job as mayor of Braddock, a tiny Pennsylvania borough of just over 2,000 people. Braddock is now in the position of needing a new mayor, even though a Google search still tells you Fetterman still is in charge. The new mayor will hold the office for a year, before a general election is held. So it's like a temp job – with a part-timer's pay. The mayor of the borough located near Pittsburgh in Allegheny County gets paid $150 per month, according to a York Daily Record report in May. Braddock Borough Council — think City Council, but smaller — could have simply appointed someone, Borough Council President Tina Doose told WBUR’s Here & Now radio show Tuesday. Instead, they decided to go about it another way: auditions. You can listen to the full Doose segment below if you’d like. If the word “auditions” brings to mind talent shows and high school plays, you’re not terribly far off. Doose said the borough will be holding a meeting of sorts on Jan. 29, when applicants who’ve registered with the borough office will, “for five minutes, tell council and all those in attendance why they want to be the mayor of the borough of Braddock." Basically, it’s American (A-mayor-can?) Idol. Doose said the borough has received applications from people who have “no idea how local government functions,” which is a good sign.